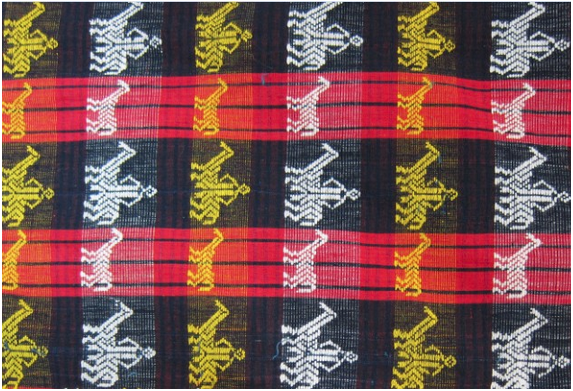 This blanket from the Tingguians of Penarubia, Abra is woven in Pinilian style. Pinilian means “divided” or “separated” referring to the grid or checkerboard style of the design. The planar pattern has translational symmetries in two directions. Its symmetry group is of type p1.